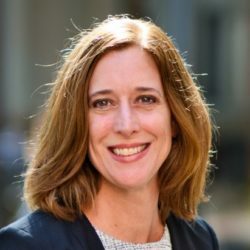 Lori Robertson is a journalist who covered the media for nine years as an editor and writer for American Journalism Review, a bimonthly media watchdog magazine, before joining FactCheck.org in 2007. At AJR, she won the Bart Richards Award for Media Criticism and an honorable mention in the National Press Club’s Arthur Rowse Award. Previously, she was the administrative director of the Casey Journalism Center on Children and Families, a resource center for journalists covering at-risk kids. She has written for various publications as a freelancer and is a graduate of Duquesne University with a B.A. in advertising.